Harmanpreet Kaur was the only centurion at the recent World T20 and also topped the six hitters charts in the tournament with 13 maximums. But what explains her incredible ability to clear the fence? In this extract from FREE HIT, (a new book by journalist Suprita Das that narrates the journey of women's cricket after its origins in the 1960s and 1970s, and how women’s cricket in India peaked in public memory as the national team qualified for the finals of the Women’s World Cup in 2017), we learn of Harmanpreet’s backstory – emerging from small town Moga to national stardom. The head-to-head between India and Australia could not have been more lopsided. India had lost ten of their last eleven matches against Australia going into the Super Sixes. But for the underdogs, the start wasn’t bad at all, thanks to a confident Anagha Deshpande, who was striking the ball better than in the previous games. The cuts and pulls in her 62- ball-45, before falling to Indian-born Lisa Sthalekar, left the defending champions a bit rattled. The 69-run opening stand was just the start India needed. But it was Anagha’s partner, Anjum Chopra, who was going to play the anchor’s role in this innings. 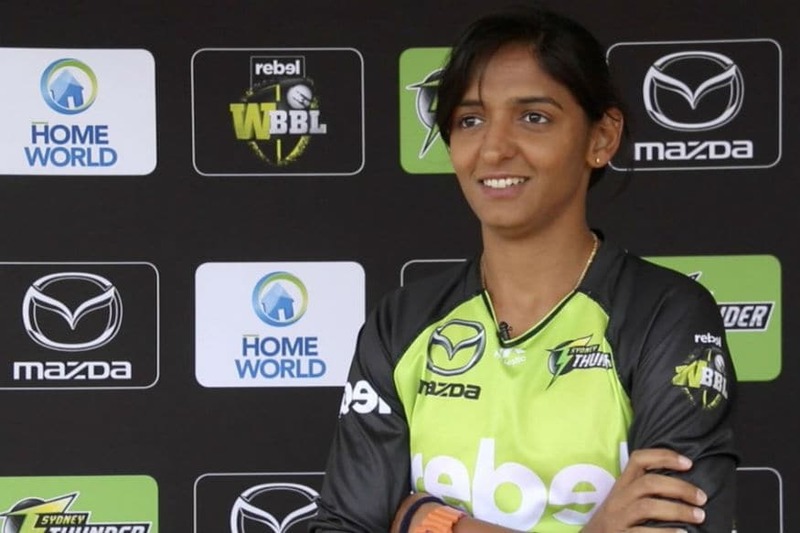 She’d taken 18 deliveries for her first run and, after yet another failed knock from Thirush Kamini, had struck a partnership with the in-form Mithali Raj. The scoring rate still needed work, though, with 100 runs coming up as late as the 29th over. Soon, a mis-hit saw the well-settled Chopra give a comfortable catch to the fielder at mid-on to walk back after a 135-ball-76. Mithali Raj (44 off 50) fell soon after, with 155 runs on the board. This was never going to be enough against Australia and now there were less than 10 overs in hand. The time had come to shift gears. 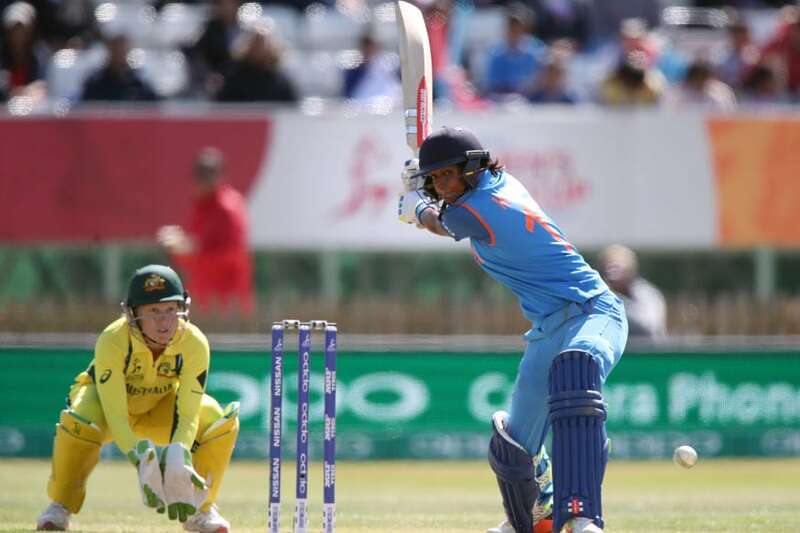 Amita Sharma hit two fours off Ellyse Perry, racing to a 22-ball-31. Captain Jhulan Goswami’s dismissal in the 47th over brought Harmanpreet Kaur in to bat. Kaur was lazing around in the dressing room in her shorts when Anjum Chopra told her, ‘You’re in next.’ The nineteen-year-old had just been asked to go out and bat in a World Cup match against the defending champions, in the death overs, by a former captain, and ahead of more experienced batsmen like Rumeli Dhar. 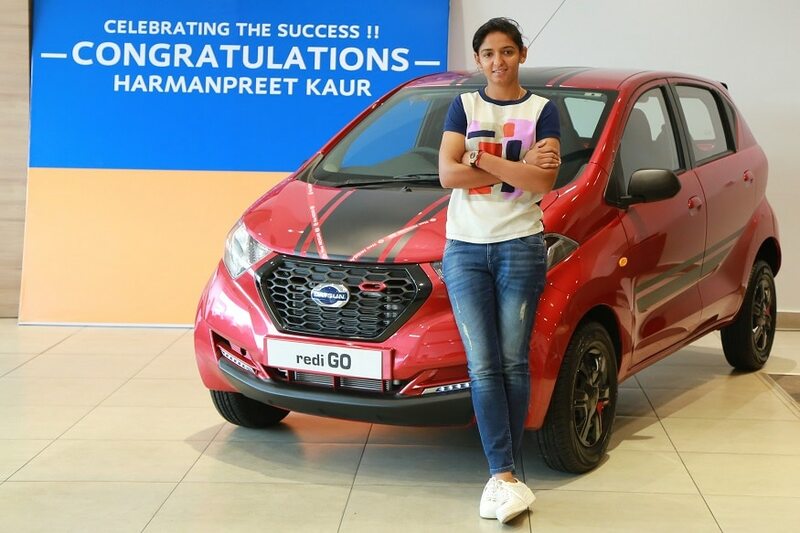 Punam Raut and Harmanpreet Kaur were the newcomers in the squad and in their first few days were victims of some friendly ragging in the dressing room. The team, they thought, was a good place for masti mazaak. But, walking out on to the field that day, it sunk in that this was the real thing. After watching a couple of deliveries, Kaur decided it was now or never. Emma Sampson, bowling the 49th over, had no idea what was coming her way. Kaur walked down the track twice in the same over, once for a four and then a six and had everyone stunned. Kaur had clobbered the ball like it was nobody’s business. The ball went screaming into the stands, hit the tin roof of the fifth tier and broke the silence of the North Sydney Oval ground. The bowlers and fielders stared; the moderately sized crowd turned its heads to see where the ball would land and the Indian players in the dressing room got up from their seats. It was the biggest six any woman had hit till date. The end was diametrically opposite to the start. Anjum Chopra and Anagha Deshpande had scored just 8 runs from the first 6 overs, but Harmanpreet Kaur and Amita Sharma produced 73 runs in the last 7 overs, with Kaur scoring a quickfire 19* off 8 balls, and saw India pile on a competitive 234 for 5. Australia’s chase began well. But Jhulan Goswami was in form and sent Shelley Nitschke back with a superb delivery that clipped the top of off-stump. It triggered a mini-collapse. At 53 for 3, Alex Blackwell came in to ensure no more wickets fell in a hurry, but her 105-ball-54 slowed the run rate down incredibly. The here-and-there contributions in the middle left Australia still 16 runs short, giving India a famous and timely win. It left Australia in a precarious position, where they had to win the next two matches to go through to the finals, as there were going to be no semi-finals. The win boosted Team India’s confidence. Finally, they looked alive – till then it seemed as if something had been missing. It was quite the unexpected result, as was Harmanpreet Kaur’s being called up for a dope test after the game. Kaur was only nineteen and the six she’d hit had so much brutal power in it that the authorities were suspicious if she were on performance-enhancing substances. She was, in fact, even asked to send her bat to the laboratory for further checking. Nobody could believe that a girl could hit a ball so far and high. The six was clean. So was she, who cleared the dope test without any further questions asked of her ability. Kaur’s six in Sydney didn’t surprise her teammates, though. While they were training for the World Cup back home, they’d got a glimpse of what she was capable of. Playing a Challenger Trophy match at the Bandra Kurla Complex ground in Mumbai, Kaur had left her seniors with their mouths open when she came in to bat with three overs to go and hit three big sixes. She was still playing U-19 cricket then. One of the seniors was Anjum Chopra, who had seen the young girl coming out to bat adjusting her long hair underneath her helmet. She had heard of Kaur, this girl from Punjab who was a big hitter and that day she got to see what the talk about her really was. The long hair had to go in a few days. For Kaur used to stay in a hostel back then and washing it every day after returning with a sweaty head from the cricket field was becoming a task. Hailing from a typical Sikh family, she wasn’t allowed to cut her hair. (When she did get a haircut, though, her father didn’t speak to her for three months.) What stayed just the same was her ability to hit big, which earned her an India debut at the World Cup. The family eventually accepted her new look. The truth is that Harmanpreet Kaur was trained to hit sixes. Day after day. More than anybody else she used to play with. More than the boys. There were days of just six-hitting coaching. Virender Sehwag was Kaur’s inspiration and she tried to emulate his style whenever she batted. The centre of all this action was the Gyan Jyoti Public School in Moga, Punjab, where Kaur as a teenager trained under the watchful eyes of Yadwinder Singh Sodhi. Now, Moga isn’t a place for the faint-hearted. The town’s drug menace is known to all. For years, families have got seriously entangled in the drug net as either peddlers or addicts. Maybe ‘menace’ isn’t the right word for the graveness of Moga’s drug situation. In 2013, in the village of Daulewala, about 17 km from Moga, 390 out of 400 households were booked for drug peddling under the Narcotic Drugs and Psychotropic Substances Act. So, for any sort of talent to come out of that environment and stand out and shine is an extraordinary feat. But Harmanpreet Kaur’s story isn’t ordinary either. On the day she was born, Harmandar Singh Bhullar, a former volleyball and basketball player, decided to celebrate the birth of his daughter (on International Women’s Day) by buying her a T-shirt which read ‘Good Batsman’. Years later, that’s exactly what Kaur would turn out to be. Bhullar Sr. was keen on one of his children pursuing a career in sports. So when Kaur started accompanying him to the Guru Nanak Stadium near their house to play cricket with the boys, there were no issues. She was already showing promise in hockey and athletics at school. But there was something about the way the teenager hit the boys for sixes that caught the eye of local cricket coach Kamaldeesh Singh Sodhi on a morning walk back in 2005. Sodhi was out for a stroll and saw this fifteen-year-old girl playing cricket with boys and clearing boundaries with incredible ease. Her cricketing basics seemed solid; she was athletic and powerful. It wasn’t a small ground they were playing in and Sodhi and his elder son, Yadwinder Singh, sensing that the girl would be an asset to any team, approached her father. ‘Aaap apni beti hume de do [Give us your daughter],’ the Sodhis told him. Bhullar was surprised and hesitant at the offer. Eventually he agreed when the Sodhis told him they would take care of his daughter’s cricket training and education. Thus, in Class X, amidst serious doubts and worries, Kaur shifted to the Gyan Jyoti Public School, one of the few English-medium schools in the region, where she was exempted from all fees and given cricket equipment free of cost. Adjacent to the school were the cricket nets, a limited facility to start with, that would grow into a sprawling academy over the next few years. Kaur’s rise from that point on was meteoric. Her big-hitting abilities saw her feature in inter-academy and inter-district matches very soon, where often she’d be the only girl in the playing eleven. By the time she had broken quite a few window panes. But she was quite loved, because she hit huge sixes and everyone loved watching those fly. On some days, Kaur used to place bets with her friends on the number of sixes she would hit in one match. On one such occasion, all bets fell flat as Harman slammed a hundred in a 6-over inter-club match! The dimensions of the ground might have been small and the quality of opposition poor but her knock was jaw-dropping stuff. Yadwinder worked hard with her on many days just to train her to hit sixes. There were days when he made her hit 100–150 sixes a day. A mango tree near their house was what Sodhi wanted his ward to clear. On some days it used to take a lot of tries; some days Kaur managed to do it easily. It took her just a couple of years after joining the academy to break into the state team, and there, too, her big-hitting prowess didn’t go unnoticed. Anju Jain, the chairman of selectors at the time, had been keeping an eye on her U-19 performances and was impressed with her approach to the game and power. It was her decision to draft Kaur into the India side in 2009 just in time for the World Cup in Australia.